Summer is for reading—not just for students but for teachers and librarians, too! This month, the BACC co-bloggers will be sharing our summer reading—pleasure reading, reading with curriculum connections, and reading for professional development. To update and hone my knowledge of current publications in the field of education, I have been reading a number of thought leaders’ most recent titles. 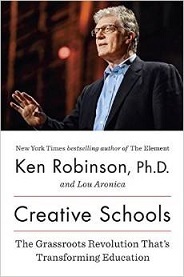 In his latest book coauthored with Lou Aronica, Creative Schools: The Grassroots Revolution That’s Transforming Education, Sir Ken Robinson continues to advocate for teaching (and modeling) behaviors and dispositions that inspire and support youth in developing their curiosity and exercising their imaginations. “Every school is a living community of people with unique relationships, biographies, and responsibilities. Each school has its own ‘feel,’ its rituals and routines, its own cast of personalities, its own myths, stories, in-jokes, and codes of behavior, and its many subcultures of friends and factions. Schools are not sanctuaries that are set apart from the turmoil of everyday life. A vibrant school can nourish an entire community by becomes a source of hope and creative energy” (Robinson and Aronica 2015, 63-64). The theme of schools as communities of learners is a strand throughout Robinson’s work. I had the pleasure of attending his talk at the National Council of Teachers of English Conference in 2012. One of his quotes that I have kept in mind since then is this: “Being a creative teacher doesn’t mean you do all the work. It means you recognize we all teach each other.” He meant educators (and experts in the field/parents/and community members) teaching each other as well as students teaching students. Yesterday at the ALA Annual Conference, the Educators of School Librarians Section (ESLS) and the (School Library) Supervisors Section (SPVS) had a productive joint meeting. We discussed how to identify and mentor future librarians who will possess and/or develop the skills and qualities needed to serve the needs of today’s students and teachers. ESLS’s members on the panel shared what their universities are doing to recruit the best candidates to fill the many vacancies in school libraries in their states. We will continue the conversation about how we can attract the best possible candidates to our profession. In the context of Robinson’s book, I hope we can attract more and more school librarians who can co-lead the kind of transformation he describes. We need creative, resourceful, flexible educators in libraries and in classrooms who can collaborate with the adults and students in the learning community to transform teaching and learning. On Thursday, I will share a bit about Professional Capital, the new book by Andy Hargreaves and Michael Fullan. Robinson, Ken, and Lou Aronica. Creative Schools: The Grassroots Revolution That’s Transforming Education. New York: Viking, 2015. Print. Successful instructional partnerships are bread and butter roles for the teacher librarian in educational communities. Classroom teachers and other specialists who partner with TL’s find that everyone works better, and works smarter. This month BACC bloggers have been providing ideas that support collaborative practices for co-teaching and learning. True collaborative relationships are developed with time and experience, and involve teaching partners who co-plan instruction, co-teach, and co-assess students together in an active learning model. Judi, Lucy, and Karla have highlighted key pieces for each component in collaborative partnerships that contribute to a win/win for both educators and students. In order to work closely with another educator, teacher librarians have to build confidence and trust with a partner. As Judi said, co-planning involves knowledge and skills in pedagogy and content standards by both partners. Combining expertise and taking responsibility for sharing tasks for delivering instruction and assessment means that you have to be able to talk the talk and walk the walk. If the process is to be a partnership, not a dual track distribution of who does what, partners need to build opportunities for self reflection and communication into the collaborative model of teaching. Critical thinking and creativity abound when teaching partners share ideas and insights from different perspectives. Time is at a premium for co-planning and co-assessing, and often these tasks are done on the fly outside the class time through shared documents and folders, IM, Skype, email, or a learning management system interface such as Edmodo or Moodle. Face to face synchronous sessions should be a priority, too, and built into the schedule for both partners. 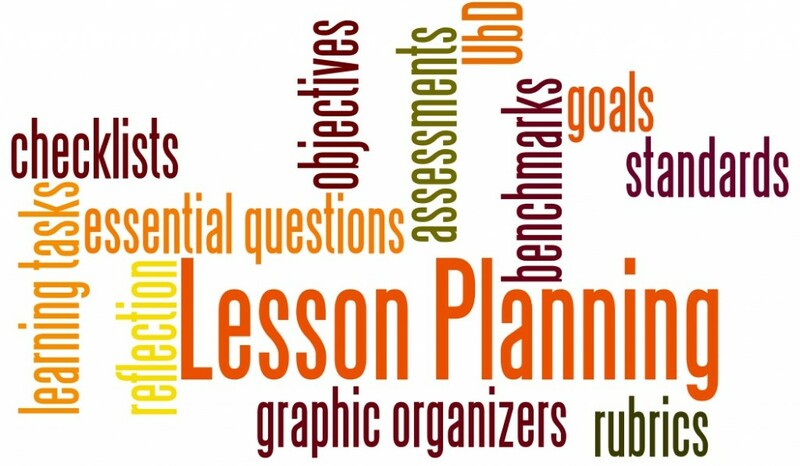 During the implementation phase of the co-teaching plan, partners set up a framework to check in and assess the daily/weekly progress or challenges of the students, and the learning plan. The framework can include a process for students to keep track of their work in blogs, in online discussions, Google documents, forms, and so on. Open accessibility to student work allows communication between teacher and students in a continuous feedback loop, or to ask/answer student questions. Responsibility for responding and tracking students can be divided between the partners, but there also needs to be a process for continuous conversations about adjustments to lesson plans and learning activities based on the variability of students on the road to achieving learning outcomes. Sometimes the road that has been laid out needs to take some unexpected turns. That is what makes the co-teaching so organic and interesting. No need to wait until the planned activities are completed before co-teachers review the plan. If our expectation is for students to be metacognitive and reflective in their learning, educators should be mindful of that in their collaborative teaching, also. During the year, I have been following Buffy Hamilton’s excellent blog posts (Unquiet Librarian, 2015) that demonstrate reflection about co-teaching that highlight the dynamics of her work with colleagues in a high school. I have mentioned her blog before, but it continues to be a source of inspiration. Take a minute to read this post that shows that partnerships can include teachers and students, too. 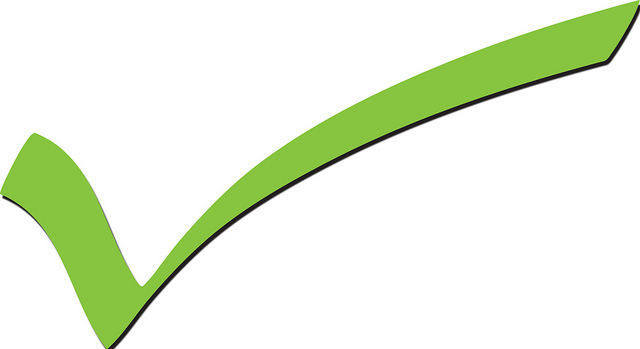 It is clear that the communication between the partners is continuous and thoughtful, and leads to changing ideas. You will want to retrace many of her other posts, too. Once the co-teaching plan has been completed, it is equally important for partners to take time to reflect together on the process and the success/and or challenges that were encountered along the way. Once again, time is always an issue, so partners need to make sure to have some face to face conversations and analysis about the evidence that has been collected to show that students were able (or not) to transfer their understanding and demonstrate knowledge and skills. This is an important piece of evidence based practice for both teaching partners. The collaborative work should be documented and shared with administrators and other stakeholders, and will lay the groundwork for repeating the curriculum unit another time, or to begin to build another collaborative experience. Process/Learning Plan-what was successful? What didn’t work? What misconceptions became evident? What adjustments should be included? Product-Was the performance task authentic and did it demonstrate student learning? Are there changes that need to be made? Student reflection and feedback-How did the students respond to the process and the learning? What are their suggestions for improving the learning plan? Communication-How effective was the communication between partners? Once you find your teaching partners, they will want to join the party, too. Tell us about your adventures in co-teaching-it’s all the rage! So far this month, Judi talked about co-planning and Lucy addressed co-teaching. An important, but often left out, step in a collaborative relationship is co-assessment. The teacher and librarian have planned together and taught together, so it seems natural that the team should also assess together. However, time and other commitments often are allowed to get in the way of this step and the assessment is often left to just one of the educators. 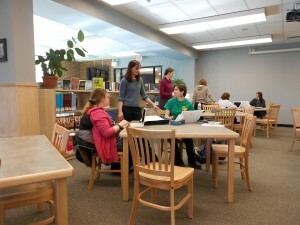 The teacher assesses the content, the librarian assesses the library skills, and together they assess the product. Assessment is not something that is just done at the end of the lesson or unit. Best practice is to continually assess for learning so you know the students are learning the intended information and making progress toward the lesson objectives. Stockman’s first tip is “Formative assessment is a verb, not a noun.” It is something we do in order to learn about the student; it is not a thing. Assessment is active and continuous. Good assessments inform good teaching. Assessments are directly related to the learning objectives. After you spend the time planning and teaching, you need to know that your students have learned. You need to know that your collaborative teaching experience had a positive impact on the students. Once you have collected data related to student learning, you can use this to show the importance of your effective school library program. You can also use this data to encourage other teachers to join in a collaborative relationship. One of the best parts of co-assessing is that the librarian has the opportunity to see the project through to the end. So many times a class comes in for the research part of a project but the librarian does not see the final product. When you are co-planning, be sure to set aside time so you can be there for the presentations at the end. This goes a long way in building trust and relationships. It shows the students (and the teachers) that you care and that their hard work matters to you. How do you assess learning in a collaborative lesson? Do you divide the assessment responsibilities or do you work side-by-side to assess together? What is your favorite formative assessment strategy in the library? Photo courtesy of PNASH via Flicker. Hello everyone! I have just returned from an amazing Georgia Library Media Association Summer Institute, an event that showcased incredible school library media specialists (this is the title of the profession here in Georgia) and the co-teaching and collaboration they are engaged in while serving Georgia students. It is an exciting and challenging time for our profession! Interesting isn’t it? Both of the resources linked above also discuss the different models of co-teaching. I encourage you to explore these models and consider if any of these co-teaching approaches would support student achievement and mastery in your next collaborative project. The most important characteristic of co-teaching is that it pulls the skills, knowledge and background of two educators and applies these in much more powerful, instructional ways. As we have said before, together – we are stronger! When classroom teachers and school librarians coplan standards-based lessons and units of instruction, they can experience the two-heads are better than one phenomenon. Each educator brings a unique perspective as well as knowledge, skills, talents, and teaching style to the collaboration table. Both classroom teachers and school librarians must know the standards. Whether the Common Core or other state standards. Classroom teachers have more familiarity with the background knowledge and skill development of the students in their classrooms. School librarians bring their knowledge of the resources of the library and beyond as well as strategies for integrating technology tools into lessons. Together, these equal educators have the potential to develop more creative, more engaging, and most of all, more effective instruction for students. Many school librarians and classroom teachers find it helpful to use collaborative planning forms to record their ideas as they brainstorm and plan. Often the school librarian takes responsibility for making notes and/or completing the planning form and using it to rough out a lesson or unit plan, which both partners fine-tune. These are some sample elementary level (Chapter 1) and secondary level planning forms that can be downloaded from the Web. In the 2014-2015 school year, Kelly Hoppe school librarian at Palo Duro High School in Amarillo, Texas, coplanned with 9th-grade pre-AP English language arts teacher Jessica Wilcox for a year-long collaboration. Jessica felt that even though her students were on the pre-AP track, they weren’t skilled library users. She wanted to do something that would immerse students in library skills and critical reading skills using YA and classic literature. Together, Jessica and her school librarian Kelly collaborated to create a year-long program to meet these students’ needs. Jessica and Kelly began by helping student learn how to use the library more effectively. Along the way, they discovered that students needed more support with how to make sense of difficult texts that were above their proficient reading level. These coteachers will have an article in the August issue of Voices of Youth Advocates (VOYA) that describes their collaborative process and the results of their coteaching. Wilcox, Jessica. “Teacher Librarian Collaboration.” YouTube.com. 2015. Web. 29 May 2015. <https://youtu.be/d9WHb8i8v5I>. Thank you to the May 19th Texas Library Association Webinar participants for sharing their ideas and experiences in building cultures of collaboration in their schools. If you were unable to attend, please see BACC co-blogger Karla Collins post-Webinar wrap-up. The BACC co-bloggers gleaned our June topic from that conversation: collaborative teaching. We have divided the topic into four interrelated components: coplanning, coteaching, coassessing student work, and coassessing the effectiveness of the educators’ collaborative work. Each co-blogger will share her perspective on one stage of the coteaching process. 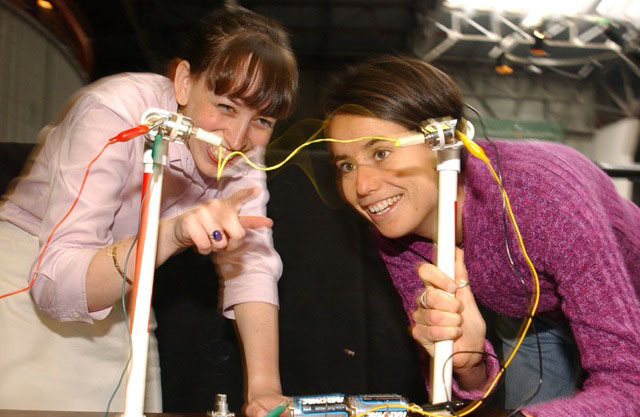 In the above photograph, two teachers from the San Francisco Exploratorium Museum’s Teacher Institute examine the “String Thing” they built. Clearly, these two educators are learning together… and having fun doing it! It stands to reason that educators who enjoy learning together would also enjoy teaching together. In fact, more fun is one of the benefits cited by many coteachers—classroom teachers and school librarians alike. In 2005, Dr. Keith Curry Lance and his colleagues conducted a study called “Powerful Libraries Make Powerful Learners.” These researchers looked for the activities in which effective school librarians engage. They compared the activities of school librarians serving in low performing schools with those in high achieving schools. They found that in high achieving schools school librarians spent 240% more time planning with teachers. On Thursday, I will share my perspective on the coplanning process and a just-published testimonial from a high school English language arts teacher who talks about her successful coplanning experience with her school librarian. Lance, Keith C., Marcia J. Rodney, and Christine Hamilton-Pennell. “Powerful Libraries Make Powerful Learners: The Illinois Study.” Illinois School Library Media Association. 2005. Web. 19 May 2015. <https://www.islma.org/pdf/ILStudy2.pdf>.